I think you’ll find this beautiful video both informative and fascinating. It’s a documentary about traditional Japanese artisans hosted by Robert Yellin, an American living in Japan who’s become a ceramics expert. Some of you may know Steven Yellin. Robert happens to be one of his brothers. And you probably remember hearing their father, Jerry Yellin, talk about his WW II experiences as a young fighter pilot who, years later, would make peace with his enemy after one of his sons, Robert, had gone to Japan for a year and ended up marrying a Japanese girl, whose father had also been in the war. See Jerry Yellin: Healing the Hidden Wounds of War and Jerry Yellin discusses Operation Warrior Wellness. Robert Yellin has been living in Japan since 1984. He fell in love with the art of Japan, especially Bizen pottery, and the concept of Wabi-sabi, the aesthetic of things in life being imperfect, impermanent, and incomplete, yet each with their own unique natural beauty captured in a work of art. His passion and broad knowledge of Japanese pottery led him from collector, to columnist and author, to ceramics art gallery owner. The Robert Yellin Yakimono Gallery offers some of the finest works available in Japan online at JapanesePottery.com or at his gallery located near the Silver Pavilion (Ginkakuji) in a magnificent old Sukiya-style home in Kyoto. You can read some of his articles on Japanese pottery in various magazines, including a ceramics column in The Japan Times. Robert also authored a beautiful book about sake utensils that was later translated into English as Ode to Japanese Pottery. Read the rave reviews listed on his sister website from the Clay Times and Ceramics Today, and check out his Japanese Pottery Blog. When Steve Jobs came to Japan and wanted to learn about Japanese pottery, he asked for Robert Yellin to be his guide. With this video, Robert inspires thousands of viewers about Japan’s cultural treasures. Takumi: Japan’s Artisan Tradition is one of five short episodes in a series called Japan: Fascinating Diversity. Five presenters—well-known foreign specialists with extensive knowledge and insight on Japan—guide viewers to intriguing destinations, introducing them to Japan’s fascinating culture and heritage along the way. They also take viewers to the Tohoku region of northeastern Japan, which was devastated by the Great East Japan Earthquake and Tsunami of March 11, 2011. The people of Japan are continuing their tireless reconstruction efforts, which shows every sign of recovery. The film’s goal is to help viewers around the globe rediscover the appeal of Japan. In this episode of the series, Robert explores the diverse forms of Takumi with veteran artisans, savoring samples of Japan’s pottery, indigo dyeing and lacquer ware traditions. His tour also includes a visit to a museum, a tea house, and ends in a Ryokan, a traditional Japanese inn. For an American, Robert knows a lot about Japanese culture. He even speaks and moves like a native; his intonations and mannerisms are Japanese—refined and respectful. With his expertise in Japanese ceramics, Robert acts as a cultural ambassador, helping to give a boost to Japanese tourism for the Ministry of Foreign Affairs by inspiring people from all over the world to visit. 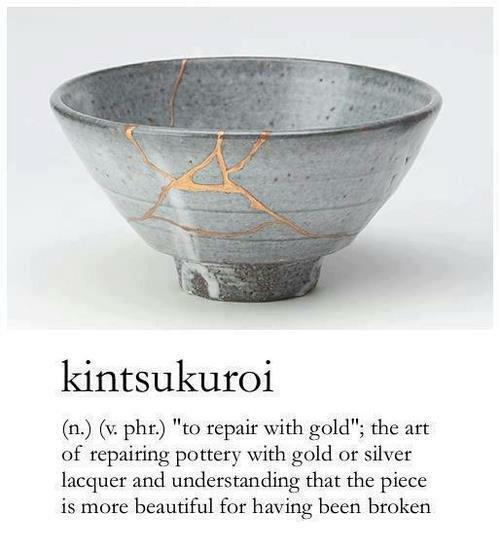 Related post: kintsugi: japanese pottery inspires poetry.